The 2030 Agenda is explicitly grounded in the Universal Declaration of Human Rights and international human rights treaties. Indeed, the integration of human rights language into Agenda 2030 has been welcomed by States and civil society concerned to address concerns about the Millennium Development Goals’ (MDGs) ‘human rights-blindness’ and accountability shortcomings. 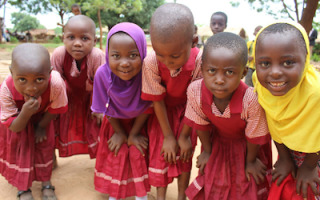 However, the Sustainable Development Goals (SDGs), and the proposed indicators for SDG4 in particular, do not go far enough in addressing children’s rights as ratified through the Convention on the Rights of the Child (CRC) (UN, 1989). Children’s voices are a particularly glaring omission from existing plans for implementation, monitoring and accountability across the SDGs. Article 12 of the CRC provides for the children’s right to be heard in all matters affecting them (UN, 1989). There is no point stating (as Agenda 2030 does) that ‘children and young women and men are critical agents of change and will find in the new Goals a platform to channel their infinite capacities for activism into the creation of a better world’ (para 50) if in practice their views are ignored in the key processes related to the SDGs. The highly technocratic process of indicator-setting silences non-'expert' voices; yet indicators will be a key driver of the eventual operationalisation of the SDGs. Moreover, the draft global indicators fail to capture key elements of the child’s right to education. Whilst the overall language of SDG4 is consistent with a rights perspective in so far as it stresses universal access to quality lifelong learning, there are a number of weaknesses in the draft indicators in rights’ terms. First, the targets and global indicators are potentially narrower in defining coverage in terms of population and conceptualisation of what constitutes quality education. Quality education in target 4.1 is reduced to meeting minimum proficiency levels in reading and mathematics at grade 2/3, end of primary and end of lower secondary. This is problematic in three ways. First, it reduces the implicit scope of commitment of the target by excluding upper secondary education – a key element of education as conceptualised under Article 28(1)(b) of the CRC and Article 13(2)(b) of the International Covenant on Economic, Social and Cultural Rights (UN, 1966). It limits the breadth of education quality to reading and mathematics, which goes against the accepted understanding of education as contained in international human rights law, which entails that education ‘in all its forms and at all levels’ should exhibit availability, accessibility acceptability and adaptability (UN, 1999). Understandings of ‘inclusive’, ‘equitable’ and ‘quality’ education (and the indicators for monitoring such) need to be underpinned by these concepts. Second, the indicators imply that a concept of a minimum proficiency threshold will be defined subsequently by experts rather than being a matter for democratic scrutiny. Given that even very low thresholds of this kind are not being met by the vast majority of learners in most developing countries, the risk is considerable that a very low threshold will be set that will have implications for enjoyment of the right to education. Third, whilst the target explicitly uses the adjective 'free', none of the indicators address this key element of the right to education. Thus, target 4.1 does not appear fit for the purpose of realising the right to education. Beyond target 4.1, other targets and indicators also fail to reflect the established approach of assessing education in terms of availability, accessibility, acceptability and adaptability. In particular, there is little sense across indicators 4.1-4.c.1 of notions of acceptability and adaptability. A (limited) exception to this is Target 4a which commits to 'Build and upgrade facilities that are child, disability and gender sensitive and provide safe, non-violent, inclusive and effective learning environments for all' and indicator 4.a.1 does capture some elements of availability and accessibility. The thematic indicators devised by the education community do reflect more of a rights perspective, but these are of a lower, optional status compared to the core global indicators presented by the Inter-Agency and Expert Group on Sustainable Development Goal Indicators (IAEG). The IAEG draft indicators focus strongly on outcome indicators to the expense of structural and procedural indicators that could hold states accountable on their obligation to progressively realise the right to education. Across the draft SDG4 indicators and the envisaged process, there are severe risks that levels of accountability and democratic participation will continue to be undermined, as in the MDG process. In spite of longstanding critiques of indicator-setting processes, the discussion about indicators is a highly-closed and technical one, from which children’s rights activists, academics and officials are excluded, let alone children, learners, parents and communities. Rights-based indicators seek to balance quantitative and qualitative elements but the global process is focused narrowly on what can be measured comparatively. Whilst Agenda 2030 promises a new compact between rights and development, there are real weaknesses in indicator development for SDG4 that will impact directly on the potential of SDG4 and its related indicators to advance realisation of the right to education - and indeed children’s rights more broadly. Simon McGrath and Aoife Nolan, University of Notthingham, are advisers to the Right to Education Project. This blog post originally appeared on NORRAG news and has been cross-posted with permission.